AccuraCast SearchStarz Blog: Event Sponsorship: Integrating a digital strategy should be a priority, not an afterthought. Event Sponsorship: Integrating a digital strategy should be a priority, not an afterthought. Marketing at events is great because, before the fact, it seems so easy. If you are a marketing manager with a wedge of marketing spend burning a hole in your back pocket, sponsoring an event can seem like a great way to bolster the brand without to much work on your end. Just write the check and reap the rewards, right? Well, it depends. If your organisation's marketing goal is to build awareness, get eyeballs on your logo or to simply increase the number of people who vaguely recognise your brand name, it may very well be as simple as that. However, for internationally recognised brands like Coke, Pepsi or McDonalds (all of which frequently sponsor major cultural events), the above goals have already been met 1000 times over. 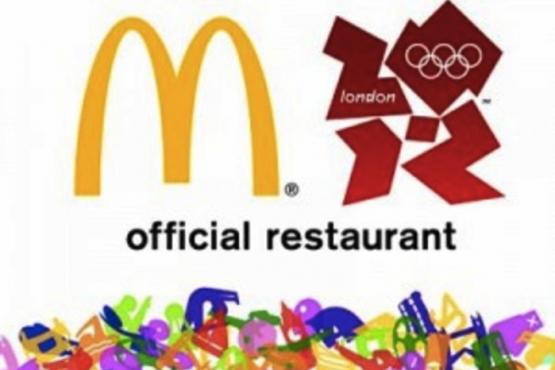 It is highly unlikely that anyone watching the 2012 Olympics saw McDonalds' branding all over the place and didn't know what they were looking at. Even more improbable is the scenario in which this same person, after seeing that the Olympics was sponsored by a mysterious golden 'M', then went on to find out more about the company and developed a taste for their fast food. So where is the ROI on McDonalds £64m spend? And what was their goal, if not awareness? As it turns out, their goal was to get as many children on their website as possible. By offering Olympic branded pedometers as part of their child meals and then turning the counted steps into a virtual currency for use as part of an online game, McDonalds had a fool proof scheme for aggressively driving young clicks to their website while at the same time defending against accusations of promoting unhealthy habits in young children. Truly inspired. This is a great example of a sponsorship deal undertaken with digital ROI in mind. On the other side of the coin we have sponsors that, beyond plastering their branding above the main stage or below the stands, don't do anything to encourage any real engagement either at the event itself or online. Not only are these "lazy sponsors" wasting their marketing spend, they are risking alienating the very punters they are trying to curry favour with. Its like seeing a group of well dressed businessmen sat at a table in the corner of a goth nightclub; it doesn't seem like they have any reason to be there, so it very quickly begins to feel as if they shouldn't be there. A good example of this is Carling's sponsorship of Reading Festival. Apart from having branding on the stages and running a scheme where you could trade any can of cheap beer in for a can of Carling (a scheme which failed to recognise that Carling is a cheap beer), it never really felt as if they were contributing anything to the festival. The resentment this caused slowly brewed until it reached a point where Carling were being trash talked by the festival's visitors year in and year out. Moaning about how bad Carling tastes and how ridiculous it was that you couldn't buy any other brand of beer anywhere on the festival site almost became part of the Reading Festival experience. Could this have been avoided by making a more compelling offering to festival goers? 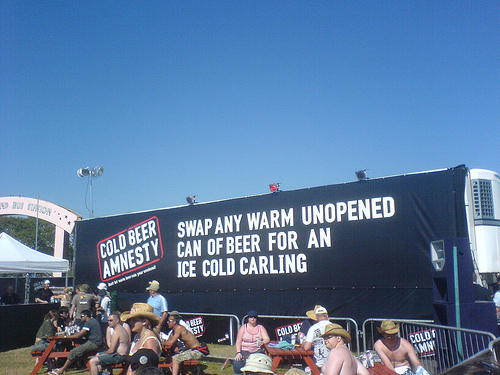 While it could be argued that putting on additional attractions at the event itself could have been infeasible for a number of reasons, providing some awesomely useful or interesting online content might have managed to justify Carling's presence and saved them from being remembered as the beer that was bullied out of Reading. Like most things worth doing, aligning a digital marketing campaign with a real world sponsorship deal is easier said than done. However, with so much at stake if a sponsorship deal doesn't go down as expected, to not even attempt to create valuable digital content is foolish at best and dangerous at worst.